Recently South Africa team finished their Sri Lanka tour where they played Test, ODI and T20I series against the local team Sri Lanka. In the beginning team Proteas faced defeat in Test series against the Lions by 2 – 0. But they turned around in the ODI series. They secured ODI series by winning first three matches consecutively. In the 4th match they faced defeat by D/L method. Finally in 5th ODI. 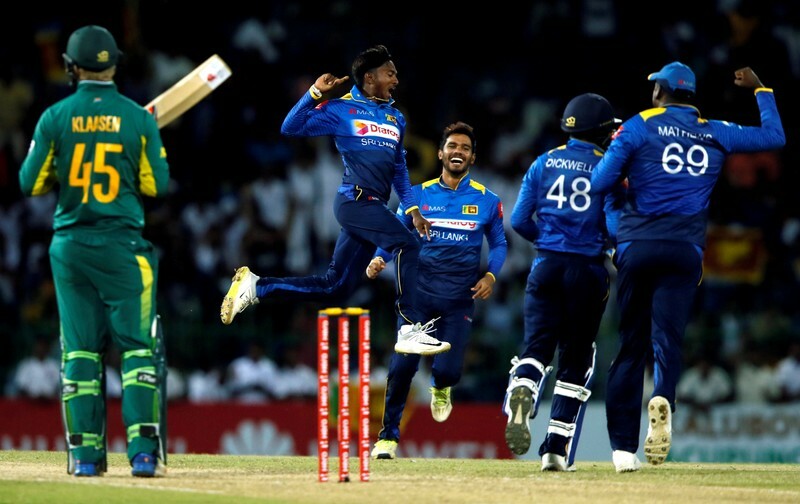 once again Sri Lanka won by 178 runs against the guest team South Africa. So, the ODI series ended with 3 – 2. South Africa won the ODI series against the local team Sri Lanka this time. After a long time, team Proteas made their visit in Sri Lanka and their main purpose was to play three matches Test series. Later, it was reduced to two matches and in exchange for one match, they played couple of ODI matches there. However, the official ODI series started in 29th July, 2018 and finally the last ODI took place in 12th August, 2018. It was a day/ night competition which was grounded at R. Premadasa International Cricket Stadium, Colombo. Earlier, Sri Lanka won the toss and decided to bat first in the match. Dickwella and Tharanga started to bat in the match and opening partnership added 50 runs there. Tharanga was gone with 19 runs only. In 64 runs 2nd wicket Perera was gone. Later, opener Dickwella was gone scoring 43 runs. Middle orders of the Lions played well where Mendis scored 38 runs, captain Mathews remained not out with 97 runs and De Silva scored 30 runs so far. By losing eight wickets team Sri Lanka scored 299 runs in 50 overs. Mulder and Phehlukwayo took two wickets each for the team Proteas. Later, South Africa started to chase the score. In o runs opener Amla was gone. In 2nd wicket partnership, they added 31 runs where Markram was gone. He scored 20 runs. Only captain De Kock got score in the match. He scored highest 54 runs. Among rest players Duminy and Rabada scored 12 runs each. rest players failed to touch two figure runs in the match. Scoring 121 runs in 24.4 overs team Proteas lost all wickets. Dananjaya took six wickets for the Lions highest in the match and destroyed Proteas innings. Though, they faced defeat in the match but already win the ODI series as well.